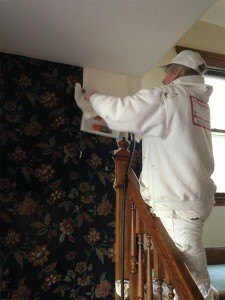 Nate’s Painting provides wallpaper removal services in Louisville, KY and surrounding areas. We are a trusted member of the BBB with an A+ rating! Our staff is made up of professional painters who work hard to meet all of your needs. We take the time to make sure your wallpaper is removed properly without damaging the walls. For quick and affordable wallpaper removal contact us today for your free quote!